2. Meanwhile, heat nacho cheese sauce and refried beans in microwave until hot. 3. Spread equal amounts of refried beans in the bottom of each hot dog bun. Place cooked hot dog on top of refried beans. 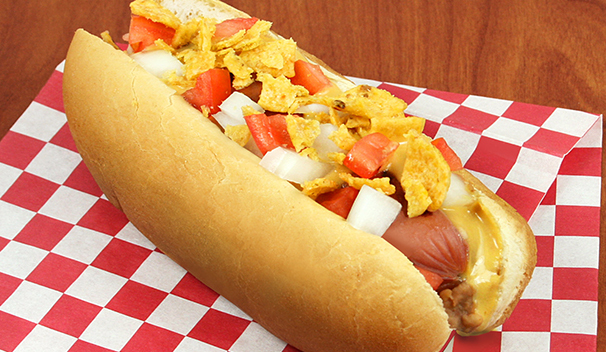 Top with nacho cheese sauce, diced tomato, diced onion and crushed corn chips. Serve immediately.